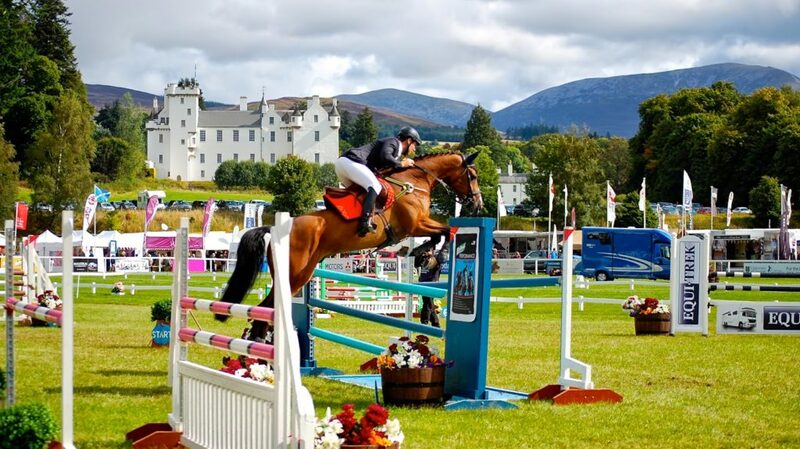 Atholl Estates is one of Scotland’s best-known Highland estates. Its history dates back to the 13th century, but throughout the ages it has adapted to the times, and today it manages a wide range of operations with five main operating groups; tourism, agriculture, forestry, renewable energy and let property. Our tourism services are presented in detail elsewhere on this site but here we would like to explain what we do on the estate to manage the land and buildings to provide the best balance between commercial opportunity, environmental stewardship and social responsibility. Although the estate is managed commercially, our central aim is the preservation and enhancement of its natural, built and social environment. 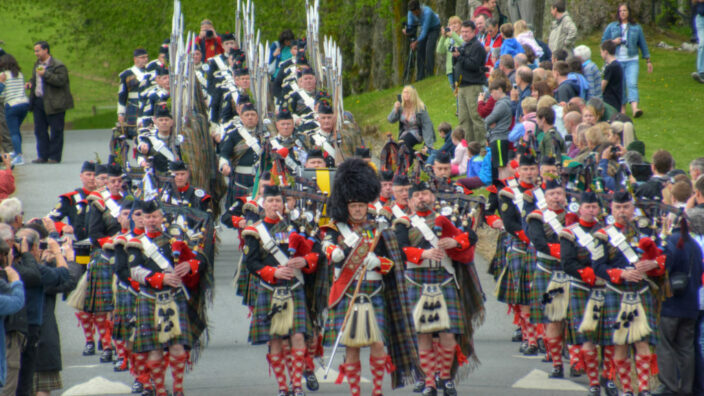 Located in Highland Perthshire with offices in Blair Atholl, the estate is centred around the famous landmark of Blair Castle. Steeped in history, the castle and grounds are open to the public for day visitors, corporate events, functions and weddings. Equal in splendour to the castle is the magnificent landscape of the 145,000-acre estate in which it is set, which offers beautifully scenic vistas of rolling farmland and wild open hills. Land management in the UK over the last number of years has become increasingly specialised and intensive to the extent that most people now think of farming, forestry and game keeping as distinct operations with little in common. 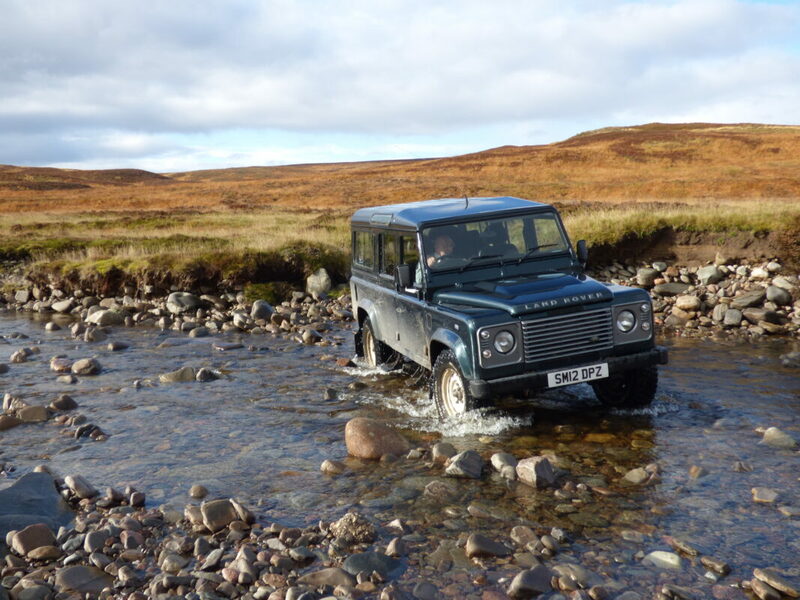 However on estates like Atholl, the integrated approach to land management is still very much in place and increasingly so as we move away from intensive production. We find this a much more effective model in producing benefits to the countryside, to the public and in maintaining an efficient business. To follow are our three core land management operations, remembering it is ultimately their combined output and contribution that provides the key to what makes Atholl a special place to work or visit. In addition to the farm units which are leased, Atholl Estates manages two farms in-hand. One is the home farm at Blair Castle called Balanloan and the second is Balachallan at Tulliemet to the east of Ballinluig. Both are stock farms producing in the region of 320 beef cattle and 3,000 fat lambs each year. Calves are born in the spring and suckle off their mothers for the first summer. After two years and having spent the second summer grazing, the calves are considered in condition for market. The sheep flocks are both traditional blackface ewes living and breeding off the hill and crossed park ewes which graze off the lower ground and policy fields. Lambs are spring born in April and finished during their first season with most sales in the late autumn and early winter. The combination of cattle and sheep grazing the hill, uplands and low ground fields is an essential land management tool. With careful stewardship the rough grasses are kept under control by the cattle while the sheep maintain the pastures and prevent the growth of many toxic weeds. Controlled grazing of many conservation areas is required for their preservation. 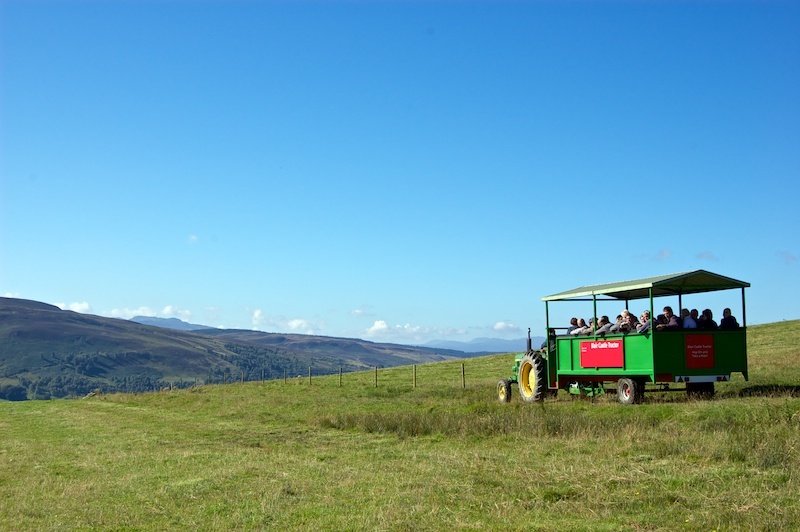 The farming operation is a vital component of integrated land use which maintains the designed landscape and supports the local economy, particularly tourism. 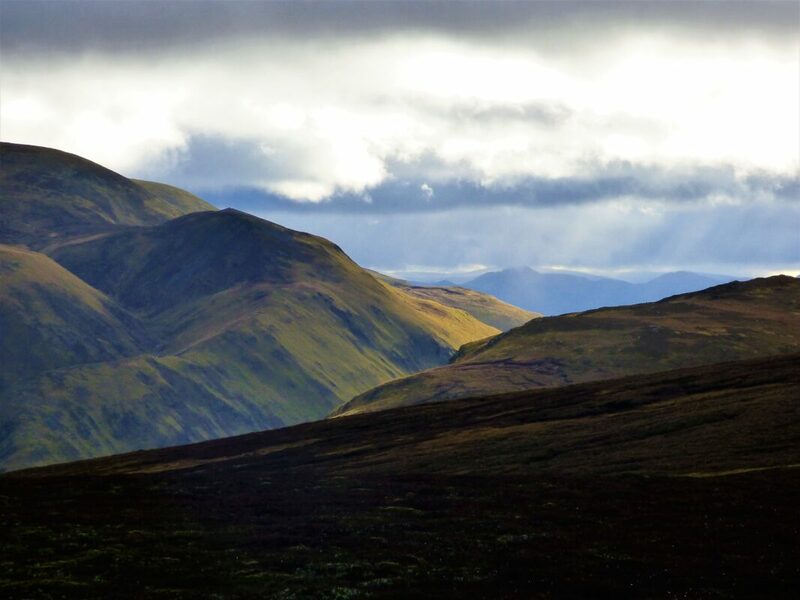 Atholl Estates woodlands cover some 10,700 acres of land. In forestry circles they are well known as being some of the first commercial plantings carried out in this country, dating back to the early 18th century. 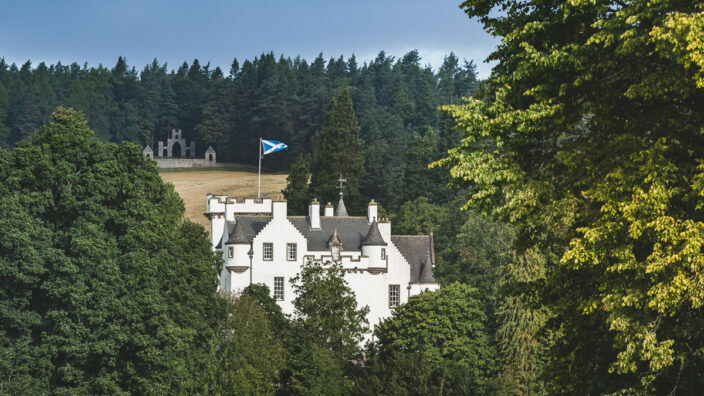 The Dukes of Atholl established increasingly large areas of European larch and Norway spruce over what was a very open and tree-less landscape around Dunkeld and Blair Atholl. The fourth Duke was so famed for his efforts that he was known as ‘the Planting Duke’. The timber was planted to supply the ship-building trade with a replacement for the oak which had been over-exploited throughout the British Isles, although by the time much of it was ready for felling, iron and steel had replaced wood in the ship trade. In 1885, the Japanese larch was introduced to Dunkeld and subsequent hybrids between it and the European larch were noted by the foresters of the time. In 1904, the first hybrid larch seedlings were planted near Dunkeld and this ‘Dunkeld larch’, with the best combination of the parents’ qualities, became widely planted on the Atholl lands and elsewhere through Britain. From a production perspective, our mixed woods produce high quality timber for the housing market, as well as material for fencing and pallets. The early thinnings from the plantations go to make chipboard or biomass fuel. Within the last thirty years a new wave of planting has taken place as we have re-established native woodland on some of the high hill sites originally planted by the ‘Planting’ Duke. These are mainly pinewoods and will form an important contribution to the wildlife habitat of this part of Perthshire. 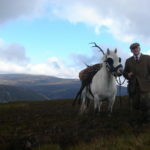 The Atholl moors are managed by 6 full time keepers and 6 apprentices. 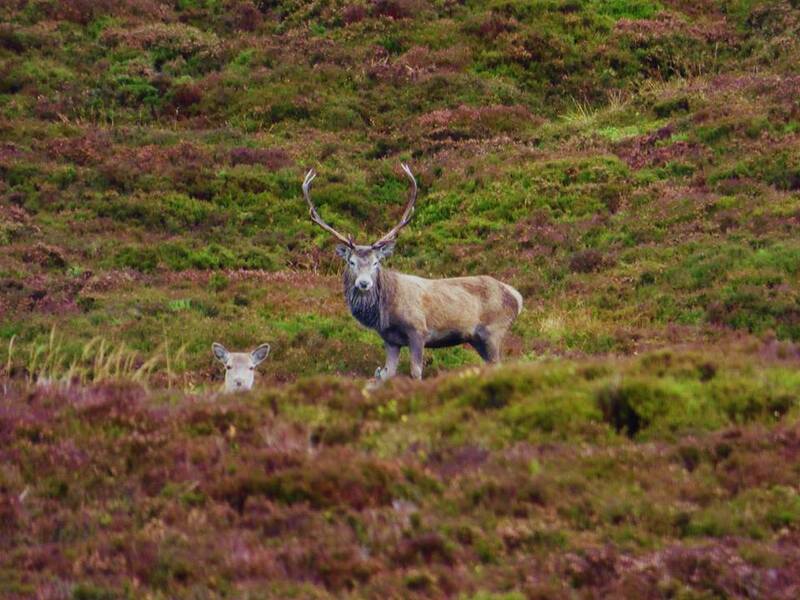 They manage over 80,000 acres of open moorland which runs from 1000 ft to just over 3000 ft, habitat to some internationally important species of flora and fauna such as heather, red grouse, the golden eagle and golden plover. The moors are divided into six management areas called ‘beats’ all of which offer a different mix of sport, scenery and accommodation. The staff who manage each beat work closely with the farming, forestry and ranger departments as part of an integrated team who aim to conserve and enhance our natural habitat. 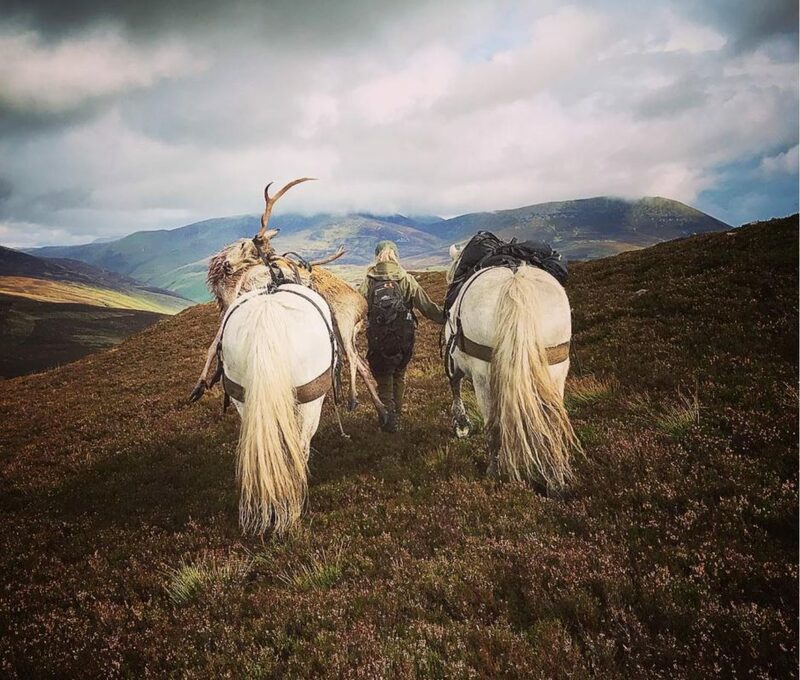 The long term objectives of this management ensure that the sport we offer is in balance with its habitat which also provides for some beautiful scenery and an abundance of wildlife. 16,000 acres on Atholl are leased to 10 independent farming families. The majority of our let farms are upland and hill farms. They have traditionally produced store livestock (calves and lambs) that are sold through the market to finishing units on lower ground. However, increasingly, those that have the option available are now aiming to finish their stock and sell directly to market. Due to the long term relationship we value with our farmers, let units only occasionally become available, but if you are interested in joining our waiting list please contact our estate office and ask for the rural manager. Atholl Estates are the largest provider of rented housing in Highland Perthshire. 284 houses are leased to private families, estate staff and let-farm staff. Our homes vary from single bedroom cottages to substantial country houses. All cottages are managed and let from the estate office, where a waiting list is kept for new applicants. Preference is given to our own staff, retired staff and those who are locally employed. We aim to maintain rents at levels that are affordable to those who are part of the local economy. If interested, please contact the estate office and ask for the rural manager. Over the last number of years we have developed modern, small scale workshop clusters in and around village communities. 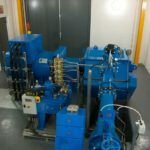 These are offered for lease to local, small businesses on flexible and straight forward arrangements. The premises offer opportunity for business start-up and expansion. They also provide an attractive inducement for small businesses who wish to locate to this area and bring with them employment and trade. Over 2500 square metres of workshop space has been developed in Dunkeld, Ballinluig and Blair Atholl. The units vary in floor area from 50 to 200 square metres. For information on availability or to join our waiting list please contact the general manager at the estate office. Together with our built properties we have in excess of 150 miles of tracks, 500 miles of fence lines, 100 bridges, 40 miles of water pipe and thousands of gates to maintain. Managing this responsibility requires systematic and long term planning. Maintenance and preservation of the built estate is a very important part of our business. The work is shared between locally retained and self-employed tradesmen with assistance from specialists when required. We also presume in favour of regional suppliers for the vast majority of our purchases. The use of modern materials in the repair, renovation or extension of traditional buildings is applied when appropriate to achieve our aim of delivering long term property management solutions. Substantially, the design of landscape and villages within and around Atholl today has been developed over the last three hundred years. The route of tracks, position and shape of woodlands, crossing points for bridges, location of houses and farms are all features which have been carefully moulded through generations of management on the estate. 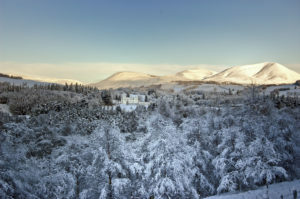 Highland Perthshire is renowned for its character and charm. This in part is due to the work which we continue today. 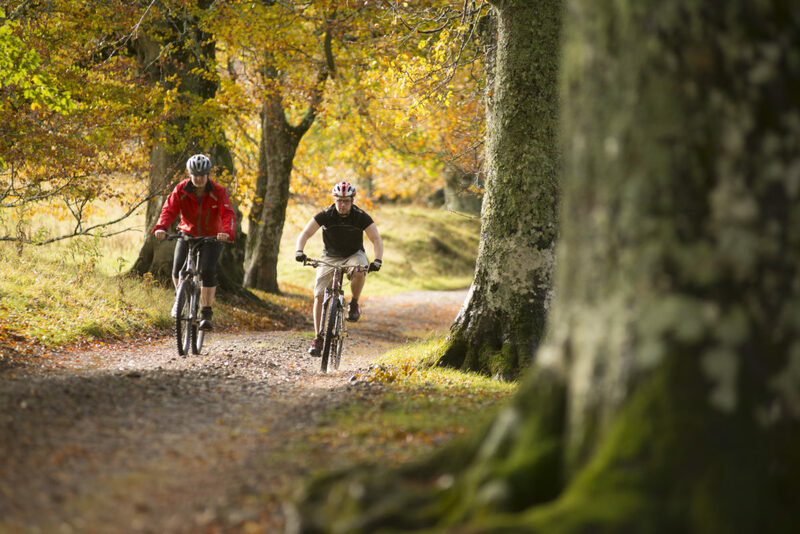 Highland Perthshire enjoys marvellous scenery, good local services and convenient access to most of the country. However, in common with many rural areas in Scotland, our service infrastructure, most importantly mains water and sewerage, is already at full capacity which significantly reduces the potential for further residential development. Therefore, property in this area is competitively sought after, often to the exclusion of the local market. 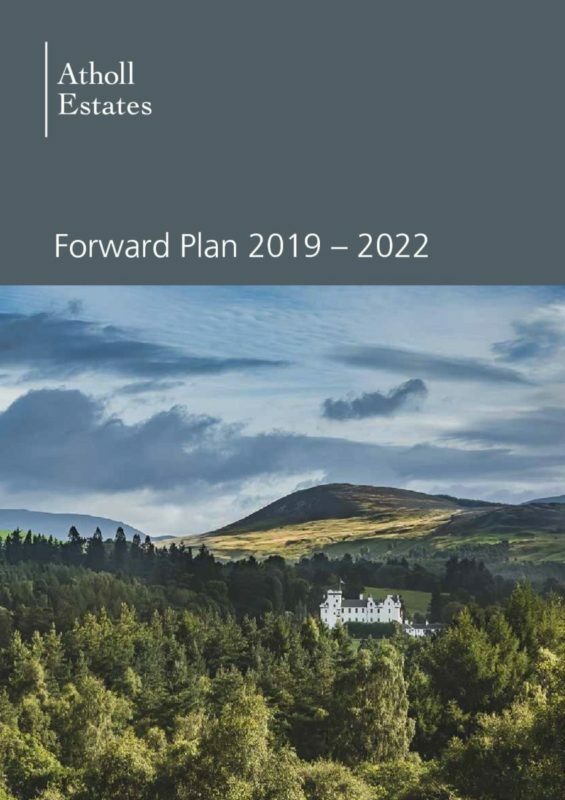 As one of the main land owners in the region, Atholl Estates recognises its role to work with the Local Authority, National Park, Housing Associations, Scottish Water and Community Councils to develop a balanced development plan for the area which seeks to address these issues. We also recognise the importance of reflecting the standard of our landscape in the quality of design for all new development, not just the more expensive. Success is measured by results and we’re proud of our track record. Over the last 15 years we have released sites that have provided over 90 homes, 66 of which were built for the affordable market. A number of these projects took over three years to procure through the various development control stages. We are currently taking forward two further sites with the intention of providing a further 14 affordable and 14 open market homes over the next few years. Over the last eight years, Atholl Estates has become heavily invested in renewable energy production through the development of four hydro electricity projects, namely Broom, Dowally, Tulliemet Burn and Blair Castle. 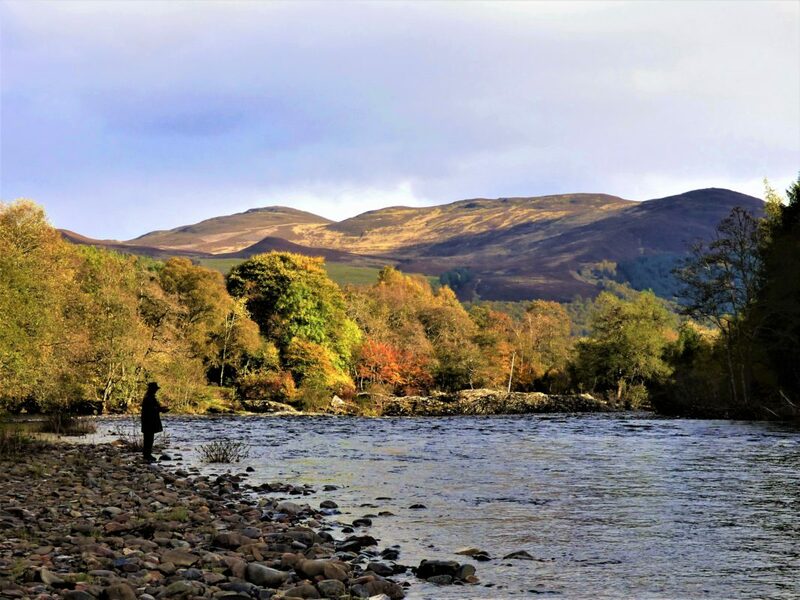 A fifth scheme most recently has been developed in partnership with Gilkes Energy on the Bruar Water. Combined, these schemes have the capacity to produce 2400kw of electricity, enough to power a small town. Three of the schemes, Dowally, Broom and Bruar, benefit from controlled loch storage flow management which increases output by about 20%, taking efficiency to over 60% (meaning the scheme is operating at peak output for over 60% of the time) which compares favourably to most wind energy production which is typically less than 30%.